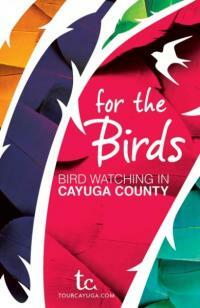 Cayuga County can offer 350 or more “Life List” birds in the flyways and skyways from north to south and east to west. You may encounter a 3-inch hummingbird, a 4-foot tall Great Blue Heron or a tom turkey strutting his stuff for his harem of hens. To help you find our birding ‘hot spots’ and identify the many birds that you may see in Cayuga County and nearby in the Finger Lakes Region, email info@tourcayuga.com or call 800-499-9615 and ask for the ‘for the Birds’ guide to Bird Watching in Cayuga County.